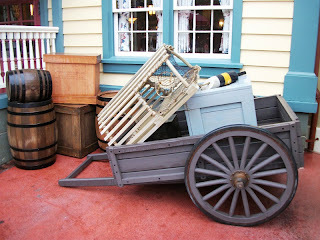 It would appear the Liberty Belle had quite the delivery of packages for the folks in Liberty Square recently. 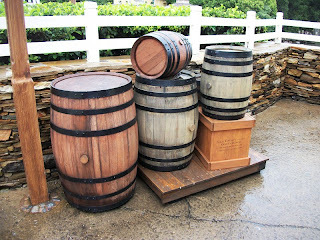 Crates addressed to the various inhabitants of this bend in the Rivers of America have been popping up in every corner you can think of. Over near the stately manor known as The Haunted Mansion, a package has come for Silas Crump. Silas has the dismal task of being Gracey Manor’s caretaker. Keeping to ghost stories, both Ichabod Crane and Abraham “Brom Bones” Van Brunt have parcels awaiting them in the seating area/stables of Sleepy Hollow Refreshments. Ichabod, of course, is the hero of Washington Irving’s tale The Legend of Sleepy Hollow, while Brom is his competition for the hand of the fair Katrina and quite possibly the Headless Horsemen himself. 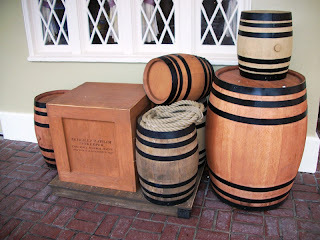 Last, but certainly not least, as it is in direct connection to the ‘Liberty’ side of Liberty Sqaure are a pair of crates by the Columbia Harbour House. One box is marked for Harold Stalmaster, noted as the proprietor of the Columbia Harbour House. Meanwhile, a second container is addressed to the Harbour House’s innkeeper, Priscilla Lapham. Priscilla, or Cilla, is perhaps better known as betrothed of Johnny Tremain in, well, Johnny Tremain. The other piece to note on this cases are the locations. 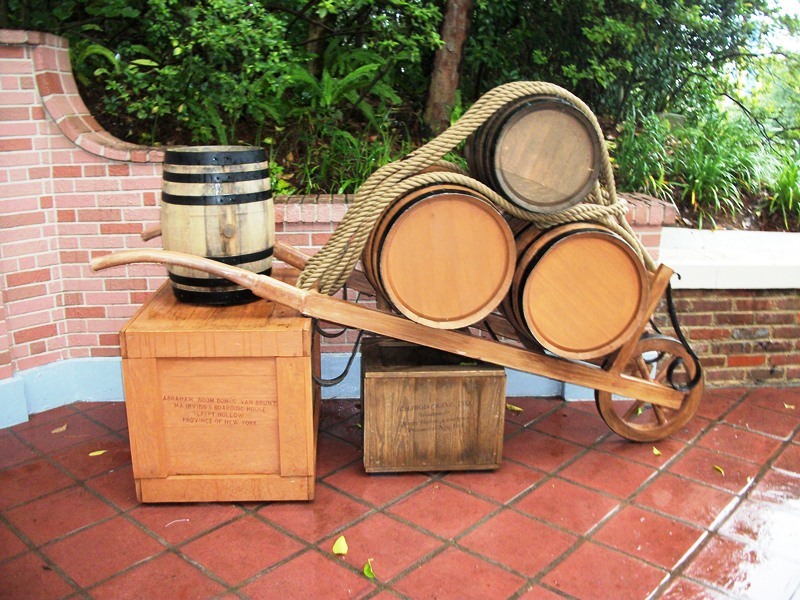 As Liberty Square is not set in one place or time, it is in fact fluid in both, so too are the crates given different destinations. Silas Crump and The Haunted Mansion are delivered to the Hudson River Valley, a province of New York. Brom Bones and Ichabod Crane’s parcels are also to the province of New York, nut this time to the town of Sleepy Hollow. Last, but certainly not least, Harold Stalmaster and Priscilla Lapham’s Columbia Harbour House is set firmly in the province of Massachusetts Bay. 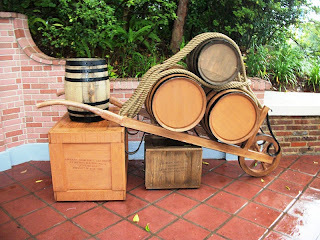 Just when you think you’ve seen every crate in Walt Disney World, the past of our forefathers comes up with something new! 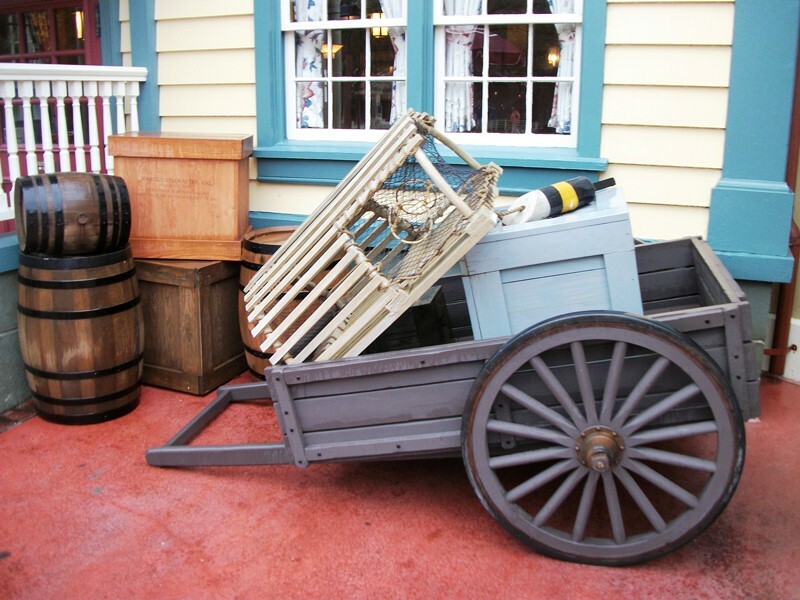 It is these new items, however seemingly insignificant, that keeps me on my toes on each and every trip to the parks and resorts. 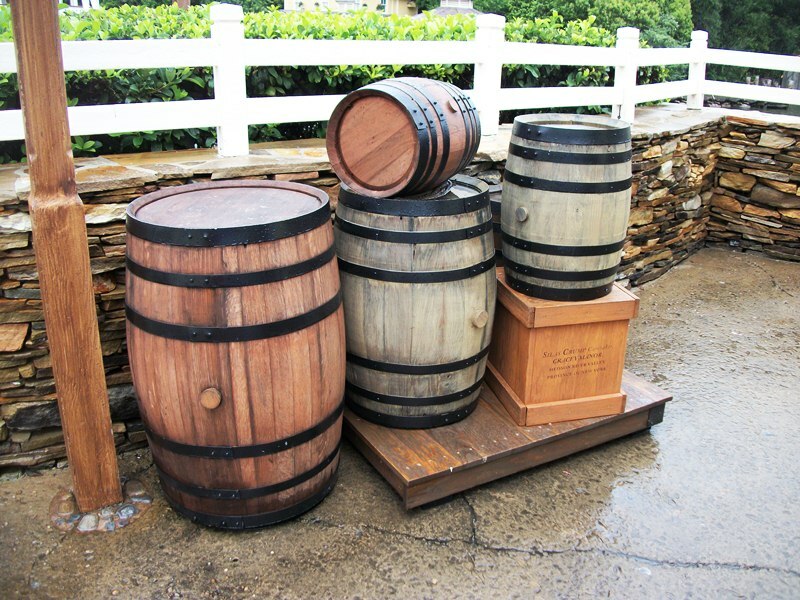 Barrels and crates rule! I love the extra layer of story these little touches add!